With every new Sims expansion, there comes new bug fixes. Just before the Seasons expansion launched last week, The Sims’ team pushed through some fixes. Turns out that the expansion itself made a few more bugs, which they’ve fixed yesterday. Some of these patch notes are pretty funny. Here are my favorites. 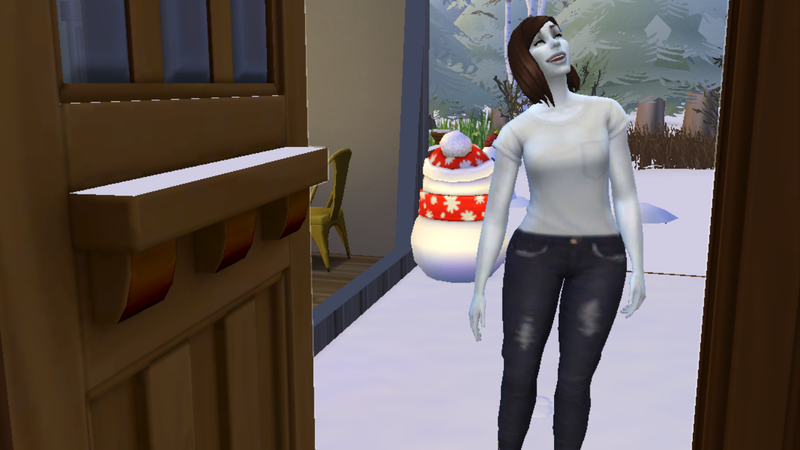 Sims were hosting pool parties in the winter and their guests were freezing to death. Sims invited to the pool party are now immune to the effects of the cold during the party. Birds are no longer flying through houses throughout the various worlds. The Welcome Wagon will no longer hide their fruitcake for themselves. Children no longer wake up in a panic every time they wake up. Active Sims won’t try to drink so dang much during a party. The police chief can no longer be the suspect in a crime. Male stall vendors who work in Brindleton Bay and San Myshuno no longer wear high heels. Pet toys will no longer stick to cats when they’re finished playing with them. Among the most recent fixes, calendar events that you plan for Sims in advance now also occur on the actual day you planned them instead of starting immediately, which is great news since I almost got my Sim fired when trying to plan a wedding the other day. Now to invite everyone to my winter pool party.